For the past few months, our 2018 Airline Digital Merchandising research has been my main focus. I’ll admit digital marketing, my ultimate passion, was forgotten for a while. So I think it’s high time to dive deeper into a topic that will interest all travel digital marketers. I’m talking about travel chatbots. Conversational commerce, virtual assistants and chatbots are probably among the topics you are following closely right now. This is why I reached out to one of the biggest digital marketing gurus of the past few years. 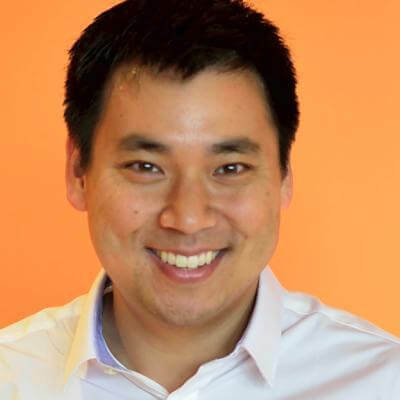 Yes, I’m talking about Larry Kim, who according to Entrepreneur is one of the top 10 online marketers to watch in 2018. Larry, one of the biggest SEO and digital advertising experts alive, recently left his multi-million-dollar company WordStream and created a startup, MobileMonkey. Yep, you guessed it, they are building chatbots. We had a great talk about chatbots and their impact on the travel industry. But first, let’s check some travel chatbots stats for a second. Travel chatbots – as you know – have been dominating the digital marketing arena for the past couple of years. Hotels, online travel agencies and other travel companies are all jumping on the bandwagon. Naturally, airlines are just as aware of them as everybody else. 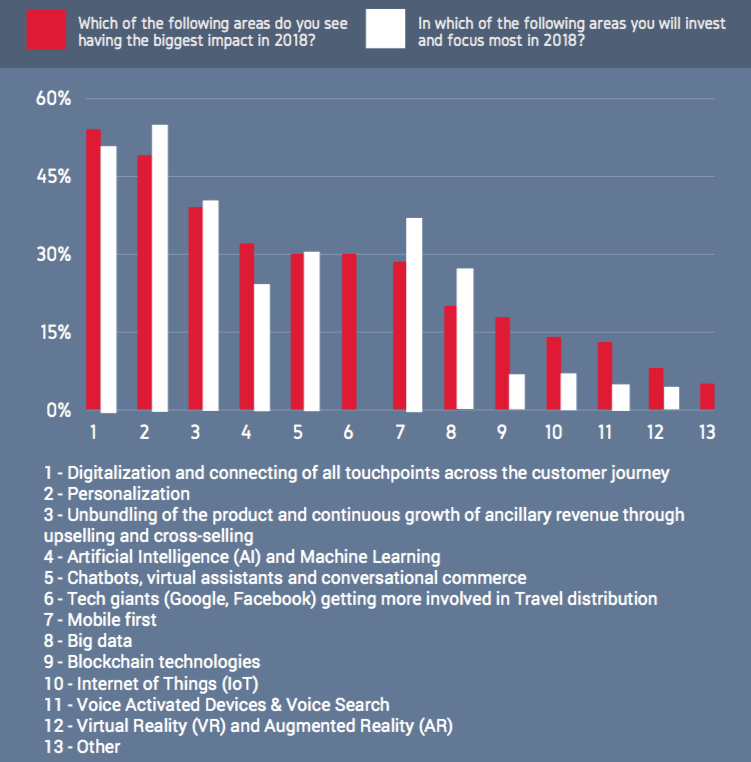 Actually, at the beginning of this year Diggintravel did a survey of almost 100 travel and airline marketers about the key trends for travel. Chatbots and conversational commerce were among the most recognized digital marketing trends for 2018. To be exact, chatbots were ranked number five when it comes to most important trends. More importantly, they ranked even higher as an area in which marketers will actually invest. Long gone is the time when chatbots and virtual assistants were seen merely as buzzwords. 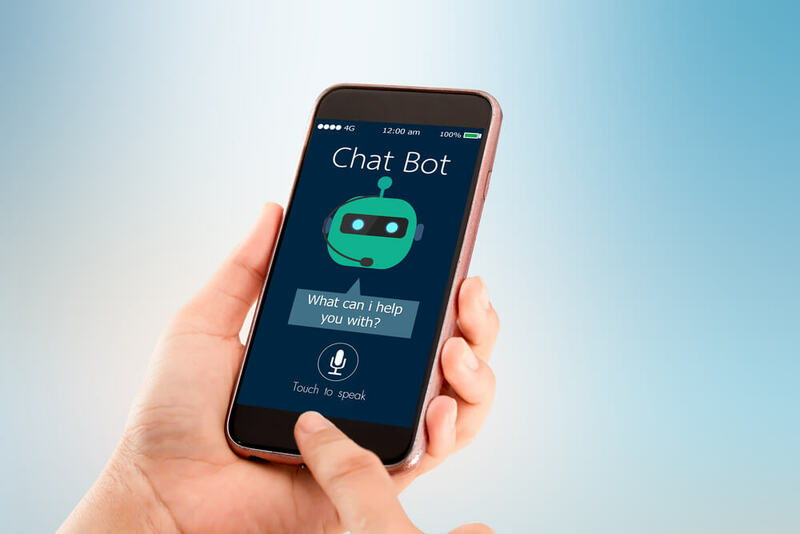 Your peers, the travel marketing pros, said that they will invest in travel chatbots just slightly less than they will invest in mobile user experience. And boy, we know that “mobile-first” trend was fresh and shiny years ago. So, we’re here. Travel chatbots have entered the main stage, no longer just a fancy toy. They’ve become your customer service tool, your most reactive touchpoint, and your most productive salesman. Q: It’s been a little more than one year since you launched MobileMonkey. When you left WordStream, you talked to John Koetsier from venturebeat.com and said that you want to “bridge the gap between desktop and mobile conversion rates.” How do you see your progress in reaching that goal so far? A: When you’re doing Messenger marketing you get everyone’s contact information and have the ability to push-message them back. When you’re doing pay-per-click advertising with normal landing pages typically you’ll collect 1-3% of their information. Messenger marketing gets 30x improvement in conversion. Q: No wonder everybody is developing or adapting their own chatbots. But what is – in your opinion – the blueprint for making a great chatbot? A: The big mistake people make when building a chatbot is they’re trying to recreate their website or create a virtual assistant. These are valid use-cases but they’re more complicated. I think the blueprint for success is setting up the Messenger opt-ins. Treat chatbots as another communication method like email marketing. Set up all the opt-ins and start blasting them valuable, interactive content. Then take it from there. You can still build a virtual assistant but it’s a harder way to get started. What’s so special about flight booking chatbots? Of course, we wanted to know about the specifics of developing chatbots for the travel industry as well. There are numerous examples in the travel industry already. Icelandair built one of the first ones, and now Skyscanner, Expedia, Kayak, Hipmunk, Lufthansa, KLM, Aeromexico and dozens of other travel companies have launched their own bots to take care of their customers. Q: How about the travel industry? Why do you think travel chatbots are so popular among the travel giants? A: It’s because most travel research is done on mobile and chat is more aligned with that device type. Q: Can you share any specifics from travel chatbots you’ve potentially noticed so far? A: One of the really interesting features of the chat medium is push notifications. The travel vertical lends itself to push notifications – schedule alerts, price drops, “we found your luggage.” The whole travel workflow is compatible with Messenger chat blasts. Q: 28% of digital travel experts from our 2018 survey said they will invest in chatbots in 2018. What homework do they need to do before developing one? A: Some homework you can do is studying other chatbot techs in action, seeing where it fails and where it works. There are very easy-to-use chatbot building platforms and custom bots you can design with developers. At this point, I think the best way to learn is to do. If 28% of digital experts in travel are planning to make the investment this year, by next year we’ll see more travel chatbot playbooks in the field. It’s going to happen fast, so you should probably start studying the domain with the DIY chatbot building tools. From travel assistant bot to ancillary booking bot? As is only appropriate for Diggintravel, we dug deeper. Larry is a great digital marketing mind, so we wanted to get his tips for using travel chatbots to increase revenue. Q: Most airlines currently use chatbots for customer service, but struggle to leverage them to create ancillary revenue in the post-booking period (conversational commerce). As an expert digital marketer, what would be your advice to them? A: The best practice for conversational commerce is to be conversational! Build your brand voice into the chatbot. Talking to your customer in a chat interface requires a personal touch. Set up chatbot Q&A triggers that map your chat content to the customer journey. If you can think through the content experience and the customer journey, you’ll find content unicorns that deliver just the right content at the right moment. EDITOR’S NOTE: In my opinion, Larry’s point here is crucial for all airline marketers looking to increase ancillary revenue. Once you map your customer journey with your content and user experience, you’ll be able to deliver the right content and right offer at the right time. Want to learn how to do that? Download our 2018 Airline Digital Merchandising white paper with more than 60 charts and real examples. Q: How do you think chatbots will influence traveler behavior in the long run? A: Travelers are going to come to expect chatbot assistance, just like self-service online bookings. Chatbots will be the level of customer service before a manned live operator takeover, and as long as chatbots are smart enough, that will be great. Facebook Messenger could be the preferred means of pulling information by a traveler on the go. The app is mobile-friendly and already on everyone’s phone. Q: Which is your favorite travel chatbot so far? A: What KLM Royal Dutch Airlines does with their chatbot is pretty seamless and utilizes a lot of the best practices I recommend for chatbots. It starts at the booking, when the customer opts to receive updates with a simple Facebook Messenger opt-in checkbox on the check-out form. From there, the chatbot handles booking confirmation, check-in notifications, boarding passes and flight status. If follow-up is called for, customer support jumps in. Q: Have you had any personal experience with travel or airline chatbots? A: MobileMonkey has a diverse customer base and we serve agencies and digital marketers who are looking for simple tools for chat marketing automation. This application is ubiquitous in the B2C space. Travel, medical, retail – 1.3 billion consumers use Facebook Messenger and marketers are seizing the opportunity to serve them there. Q: Have you found any similarities between bots and SEO? A: When you’re building a bot, you’re building a mini search engine. You’re trying to anticipate what people will ask and deliver content to answer them. Q: Futurist Ray Kurzweil predicts that in 10 years, chatbots will have human-level language ability. Do you agree? A: I have no clue. Siri is still pretty awful. Q: We all know unicorns are your “thing”, so we all wonder: MobileMonkey, MailChimp, SurveyMonkey . . . why did you choose the monkey over the unicorn? A: Unicorns are majestic creatures but don’t have opposable thumbs. Chatbots need better typing skills. Want Fresh Tips from Travel and Digital Gurus? FREE Weekly tips – directly to your inbox. No spam. Thanks! Check your email to confirm the subscribtion. Don’t miss the latest insights you need to become a smarter travel marketer.